Yes we deliver. | Yes we install. | Yes we do maintenance. | Yes we reupholster. Yes we do laminate work. | Yes we do custom colors. | Just Ask! 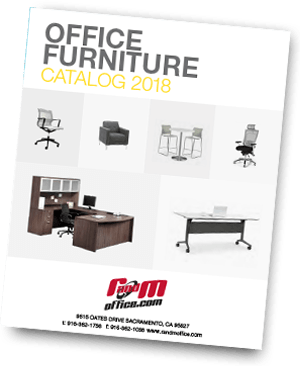 RandMOffice.com is your company’s one-stop office furniture store for design, sales and maintenance. RandMOffice.com provides a variety of services, including delivery and installation within a 100-mile radius. 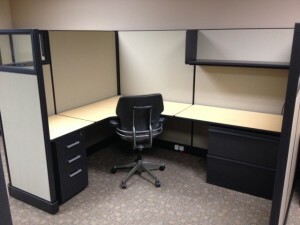 RandMOffice.com custom restores lightly used modular office furniture to client specifications. We have hundreds of laminate, fabric and trim colors from which our customers can choose. At RandMOffice.com, we work with our clients and consult with architects, independent designers, commercial real estate professionals and other project partners to develop the right workspace solution. We also work to coordinate deliveries with manufacturers, oversee your installation and otherwise ensure efficiency and accuracy every step of the way. Before the furniture is installed, RandMOffice.com provides you with two-dimensional and three-dimensional layout plans created on state-of-the-art Computer Aided Drafting software (CAD). This plan gives customers a real perspective of the eventual outcome, just like an artist’s rendering of a building. We can shuffle workstations and make changes before the furniture is installed which ultimately saves you money and time. At RandMOffice.com, we are happy to install such custom features as doors, glazed panels, ergonomic components and custom-sized modular systems. Not only do we design and sell office furniture, we deliver to your door within a 100 mile radius. Depending on the design, we can also install to your specific plan. RandMOffice.com can save you money on reconfiguring your office. Fax us your layout and we may be able to add more product to the same space, thereby saving you even more. And the best part — we offer this valuable service at no cost to you. When your business upgrades to a new space, we can move workstations, support walls and work tools for you, rather than your business losing time on this consuming and challenging task. A detailed relocation plan with on-site supervision can ensure your people get back to work in a timely manner.